Today, in A Portrait of The Artist I am very excited to present to you an incredible person - Kelly Ann Taylor. 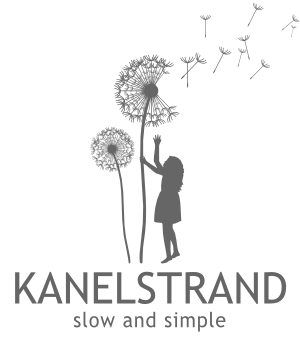 When she contacted me to sponsor Kanelstrand Organic Living I agreed straight away because there is nothing I love more than handmade soap! I imagine the care and love that go into preparing the mix and I truly admire people who have mastered this true magic. Apart from soap, candles and perfumes, Kelly has the most wonderful of magical kitchens overlooking her garden where herbs that will later add their fragrance to soaps grow. How much more sustainable can it get! Tell us a bit about yourself and your background. You seem to be a very emotional and delicate person with attention to detail. Sonya, I laughed when I read that! I guess you could say that I’m emotional; delicate not so much! When it comes to working out my vision, yes, attention to detail is really in the mix. Originally from Southern California, US, I grew up in a really kind of garden atmosphere. I remember fond memories of being outside, and walking through the vintage gardens planted in our first house. Even as a young girl of about 5 or 6 I remember pulling up a bulb and replanting it by our garden gate. I was so delighted when it came up and then flowered the next year! I have lived in the wild state of Texas USA since 1991, and now have a husband and a beautiful daughter, 13. All three of us are very creative (and messy!) people! My parents always encouraged me culturally, but demanded me to pursue an academic career. They wanted me to become a medical doctor or a journalist. Science always came easily to me, as well as writing. I love to write! Do you consciously strive to act green in your daily life or it comes naturally as inherited knowledge? I’m not sure how well acquainted with California you are, but we were raised to be eco friendly! We bought Japanese cars, because of their small size and good gas mileage. We recycle, and have 5 different trash cans! During several droughts, we even rationed in watering our gardens and flushing our toilets! To this day, my conscience does not allow me to run the water while I brush my teeth, or the shower while I condition my hair! Yes, I do strive to be green, and my company, Cassia Aromatics uses plant based sustainable ingredients. We offer a “refill” program to local customers who can get their bottle or candle jar filled up again at a reduced cost. We reuse all of our post consumer packaging in an effort to save, reuse, reduce, recycle. I also am an avid composter, and have an organic vegetable garden. We have chickens on our one acre and would love one day to have a goat for milking. Making soaps and lotions in a lovely kitchen overlooking your very own organic garden sounds so romantic, one even starts feeling the sunshine going through the windows. Do you use fresh herbs from your garden for your products? I do have a goal of using my own herbs, but this season it was impossible. We’ve been in the worst drought since our written history here in Texas, USA, and my yield of herbs has been minimal. I have herbs stockpiled and use those, but strive to grow and use my own next season. Also, as an organic gardener, I’m really taking the time to amend my soil with organic nutrients so that the yield will be optimal in the future. This year I found there were a lack of bees present to pollinate, so we planted bee friendly plants to attract. Gardening demands one to be first and foremost patient! We must be patient with the soil and feed and nurture it, and eventually when all the factors are right, the soil will reward our hard labor of love. How long did it take you to make your first perfect bar of soap? How long after that did you start selling your products on etsy? 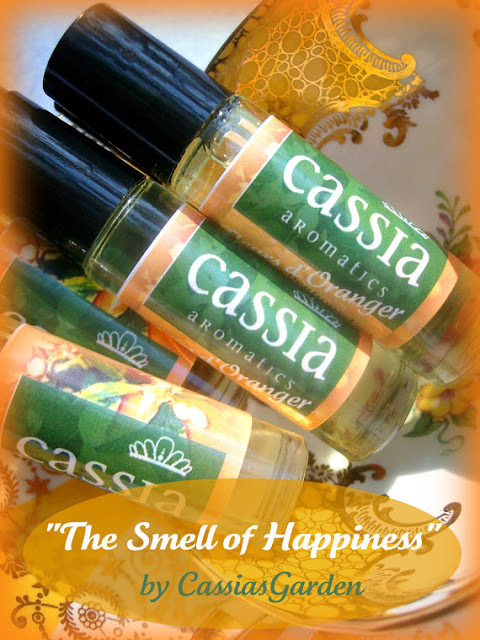 When I began my business, my first product was soy candles and home fragrances. But that was not so unique, and I sought to bring other products to my line. It wasn’t long before I discovered the wonderful world of handmade soap making. I actually picked it up really easily, because ever since I was young I have loved to experiment in the kitchen. If you like to cook, you will most likely like to make soap! It is such a creative and delightful outlet, and the possibilities are truly endless. 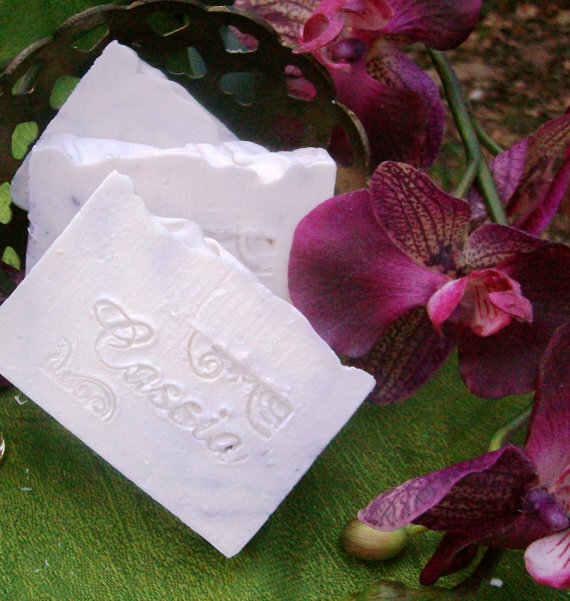 I have many customers report to me that their eczema symptons have diminished since using my handcrafted soaps. It is a delight to bring delight to others in this way! In fact, I truly cannot remember how I found out about Etsy, but I opened my shop in late 2009. Right before Hurricane Ike tore through our greater Houston area. I had to wait and wait for my supplies to come in, and life was somewhat topsy turvy. But I had products ready for Christmas and a steady stream of local customers to buy them. Tell us about your charitable collaboration with the Texas 501(c) non profit organization, which feeds, clothes, educates, provides shelter and medical treatment for the orphans of Uganda. Although many people talk about charities, a few organizations actually commit to helping a cause. How did you reach the decision to help? In my “former life” (life before marriage and children) I was a volunteer in a worldwide youth organization called Youth with a Mission. I got “drafted” into service overseas for 10 years in my early adulthood. 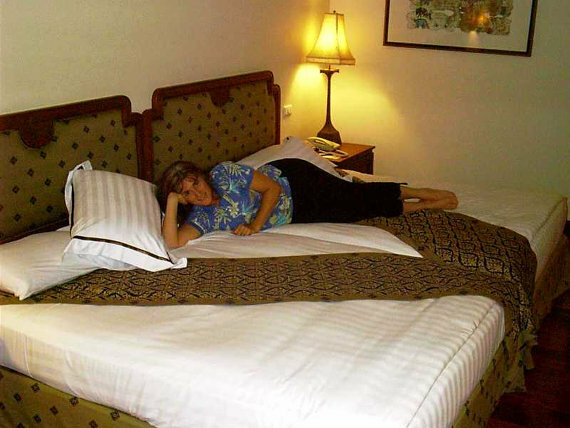 I have travelled and ministered in over 35 nations, and it truly was the delight of my heart. I volunteered extensively in the 10/40 window nations (the poorest of the poor) and saw the complete lack and desolation in those societies affected by war, natural disasters, hunger, poverty and disease. It was just a natural outflow when I returned home to the United States, to do something to help. In all truthfulness, I am really striving to the end that I can significantly donate large amounts of money not only to the mission in Uganda, but our other interests in Thailand, and India. Those are the nations where my heart is! In fact, if there are any other lovely readers out there who would like to sponsor a child, they can for $30 per month. I love our organization so much, because 100% of all donations go directly to the child herself and not to the administrator of the plan. For $30 per month you can feed, house, clothe, provide clothing for, educate and medical treatment for one orphan child. It is just so exciting! You can read more about it on my blog. You will see there a picture of my beloved daughter Rosette, and there are links you can follow to the site to “adopt” your own beautiful child. They are so appreciative of this help! Sonya, sometimes I truly feel like I have ADHD. Do you know this word? My vision for my company is so big and eventually I would love to offer fine home accents, pillows, vegan and gluten free chocolate and spice confections, fine blended artisan teas. Soap and aromatherapy is a small part of my vision. I aim to be involved in the import export business areas as well, from the missions nations that I currently support. I also have a desire to great great gifts, and word art. So, to answer your question, I would like to “see” myself as a wealthy woman entrepreneur, who has successfully launched the bath and body care business, and in the 2nd 3rd and 4th launches of the other lines. I would take great pleasure in being able to travel to Uganda, India and Thailand, to write extensively, network and inspire others, and broaden my humanitarian effort! Is that BIG enough? That is SO hard! Do I have to pick one? Truly I love the works of this Israeli photographer, artist Mae Chevrette, and saponnier Lesley of Satin and Birch. Truly people who make these lovely kinds of things must have beautiful hearts! Thank you for posting this interview! It was so nice 'meeting' Kelly! A very lovely person! I am a little misty eyed at this point! Sonya, thank you thank you! wonderful blog is all about! I am so grateful that we can have these interviews. It just makes such a difference to get to know the artists! I have met so many wonderful people online. I think Sonya's blog is one of the most authentic ones that I have seen. She puts alot of thought, effort, and conscious integration to her writings. I am honored to be a sponsor! These are lovely! I like what she says about the handmaking process--and as a California girl I totally understand the whole eco living aspect as well. 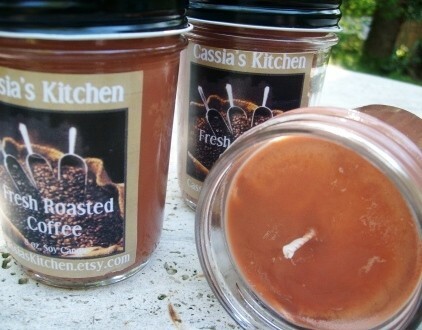 I would love to be able to smell those coffee roasted candles! They look delicious!!! so nice to meet you ! you are so talented! !